Clicks is South Africa's leading pharmacy, health, beauty and wellness retailer with more than 450 stores, over 335 in-store dispensaries and 125 in-store clinics nationwide. Our extensive range of products, along with our Clicks Private Label and Exclusive brands, add quality and exceptional value to every area of our customers' lives. 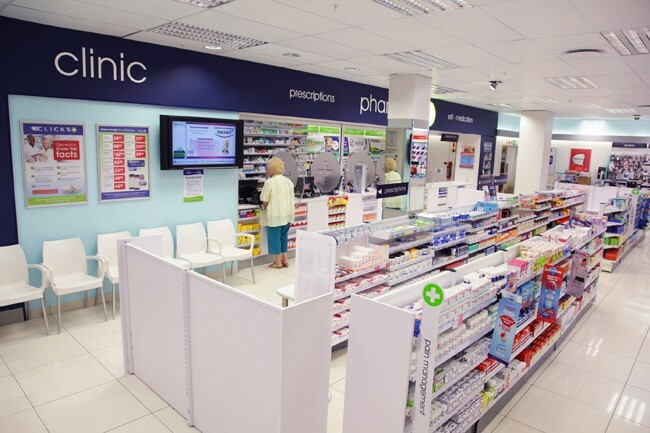 Clicks Pharmacy offers convenient and affordable healthcare, whilst Clicks Clinics offer mother and baby care, family planning, vaccinations and preventative wellness services, such as cholesterol and glucose screenings, blood pressure testing and HIV testing and counselling. The Clicks ClubCard loyalty programme has over 4 million active members who enjoy the benefits of receiving cash-back rewards and fantastic discounts for shopping at Clicks. Feel good, pay less at Clicks.